Famous ‘New Atheist’ spokesman Richard Dawkins rocked the religious world in 2006 with the publication of his book: The God Delusion. The book inspired many closet atheists to come out with their newfound militant atheism and declare war on religion. The movement seemed to most resonate with young people. With the onset of major social media platforms such as Facebook, Twitter, and Reddit came an onslaught of anti-Christian sentiment in the form of memes. They weren’t really funny memes, either. They were nasty and mean-spirited. It was war. Talking to my new-atheist friends was a real drag. They weren’t really interested in having a discussion – they wanted to tear down. According to the new atheists, religion has no place in society. It has done nothing except start wars and hold back scientific progress. However, this movement is not exactly “new”. There have been several attempts to do away with religion by people who had the authority and power to do so. Most famously, Adolf Hitler and Joseph Stalin’s anti-religious views lead to millions of deaths – more than any other time in history. Should the new atheists get their way and abolish religion, who knows what horrors we will see next. But that is the question: will it win out? Fortunately, this new atheism seems to be in the outs. Ironically, the movement is increasingly being viewed as ‘holier than thou’, comprised of people who are more interested in spreading inflammatory rhetoric than they are in holding open-minded discussions. New atheism is a kind of religion with militant zealots and strict dogma that must not be challenged. One such dogma is that scientific reason rules the universe and religion is nothing more than a destructive concept that society should evolve beyond. They hold this view despite recent scientific discoveries that religion and belief in God is a natural thing in humans and it can serve a useful purpose. 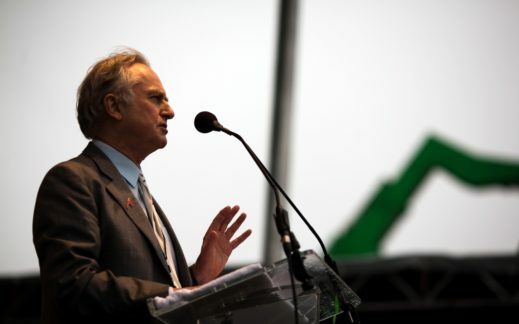 Richard Dawkins and his new atheism has been increasingly coming under fire for being intolerant by Leftists and Progressives. In July, a public radio station in Berkeley, CA cancelled an event with Richard Dawkins because of his past intolerant comments about Islam. Dawkins called Islam “the greatest force for evil in the world today,” which goes against the Progressive agenda of tolerance. It is interesting to note that none of Dawkins’ speaking events were cancelled over his nasty comments about Christianity. However, the point is that there may not be a place for the new atheists in today’s cultural climate of tolerance and inclusion. I’ve witnessed this shift myself as a Reddit user. The Atheism subreddit used to be one of the prominently featured subs on the website. Since then, it lost its status and is significantly smaller. The reason being that users found the mean-spirited, intolerant content incompatible with the site’s values of inclusion and tolerance. More and more I see the conversation shifting away from the damaging affects of religion instead to the value religion brings to the table. Faith brings real significance, hope, and purpose. It’s the Christians, armed with a sense of purpose and obedience, who are doing the most abroad to alleviate suffering, and people are noticing. In my own personal ministry, it is now much more rare to come across a militant atheist. More often, I come across people who don’t hold strong opinions on spirituality. If the militancy of new atheism is truly dying out, what does this mean for Christians? Is it a good thing? In some sense, it may not be a good thing. The one redeeming quality about militant atheists is that they forced us to have conversations about the important questions of life. It was a debate on objective truth. Which truth is more reasonable? Our universe sprung out of nothing, or was it designed and created? Both sides could agree that there is objective truth out there and that some degree of faith is required since we cannot know everything at 100% certainty. With the demise of New Atheism and the rise of tolerance and inclusion comes a rejection of absolute truth. All beliefs are to be respected and validated, whether they can be supported by evidence or not. These folks may preach tolerance and inclusion, but practically their beliefs work out as a functional agnosticism. “We can never know the truth about God so we must march ever onward in an eternal journey.” Have you ever tried to dialogue about spiritual things with a person like this? It’s tough to get anywhere meaningful. On the other hand, the demise of new atheism brings to light the problems of an atheistic worldview. A Godless world has nothing to offer – no hope, no reason for mercy, no meaningful relationships. People are realizing the value of faith in something greater than ourselves. More people might say “maybe Christianity isn’t as evil as I thought. There’s value here. I need to check this out.” This cultural shift may be paving the way for a revival as an entire generation of lonely young people search for meaning and significance. Those of us doing ministry with young people might be poised to witness growth like we’ve never seen before. Well said. I’m not terribly surprised the mean-spirited atheism is dying, since even atheists like Tyson are turned off by it, and rebuked Dawkins publically (who responded with “I don’t give a f***k). 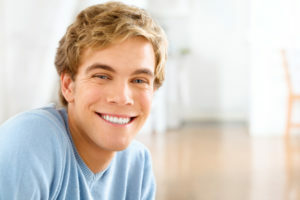 But I would like to amend your point on atheistic science, from “some degree of faith is required” to more-accurately read: “all of science consists of faith, since scientific conclusions are just ‘trustworthy conclusions’ made about the facts.” And “trustworthy conclusions” is, in fact, the proper definition of faith. Cool blog, dude. When I first became a Christian, I had plenty of friends and family who vehemently opposed the idea of an extant God and they had a million reasons for it. But just as you said, I’ve noticed a decline in that point of view, even seeing the once vehement atheists coming to a convinced agnostism: nobody can know the truth about God. Honestly, I think I’m gonna miss militant atheism because it promoted dialogue where the new sophisticated ignorance of the cult of tolerance says it’s intolerant and even evil to try to persuade people regarding religion. And anyways at least atheists come up with reasons for their beliefs. Thank God there are still open hearts tho, that’s pretty dope.